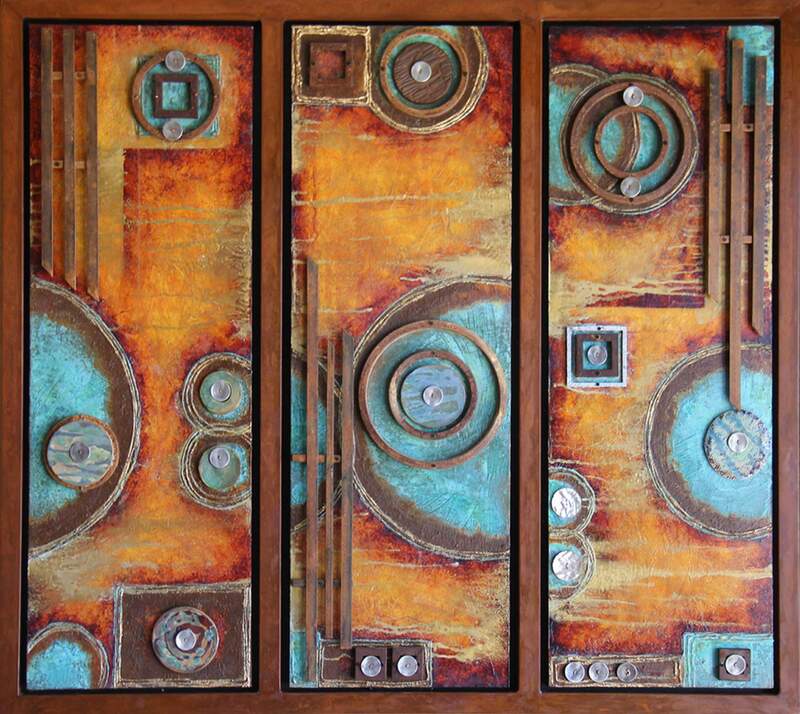 “Circularity Trio 1,” by Mari Axton-Giddings, mixed media. 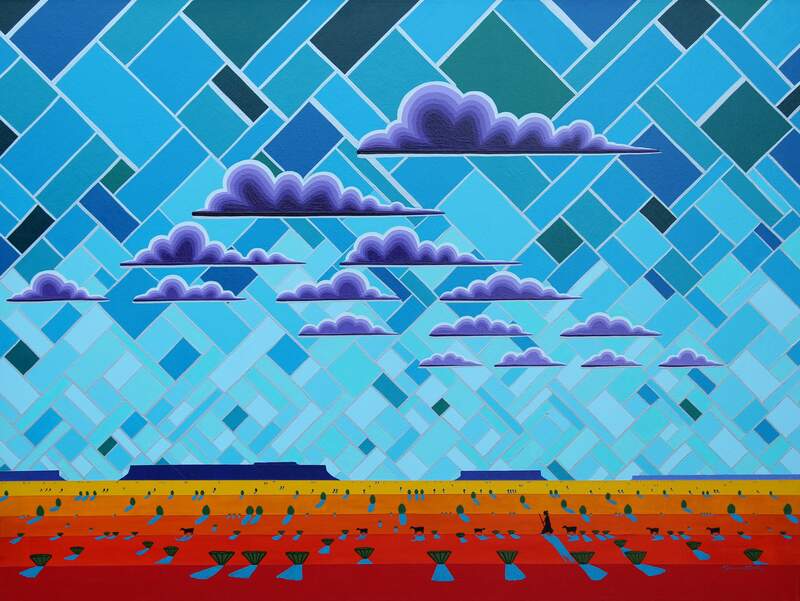 “Turquoise Stone Sky,” by Gilmore Scott, acrylic on canvas. It’s all about the art on East Second Avenue this weekend. Heading into its 23rd year, Durango Autumn Arts Festival will fill the street with both local and not-so-local artists on Saturday and Sunday. It’s Durango Arts Center’s biggest fundraising event of the year, and this year, about 97 artists will be featured, said Peter Hay, exhibits director at DAC and artist coordinator for the festival. As in years past, you can stroll down East Second Avenue and check out artists’ booths, catch live music – which will be playing all day both days – hit the beer garden and bring the kiddos to the Creation Station. Hay said the juried event will be bringing in artists from right here in Durango to points all across the country, a mix that adds to the arts community. And with the changing of the seasons looming, any chance to enjoy good weather should be taken advantage of.